Constantly evolving social technology and user centric trends make for the perfect digital strategy storm! What platforms are better suited to adapting to drastic changes than those that focus on individualized care? 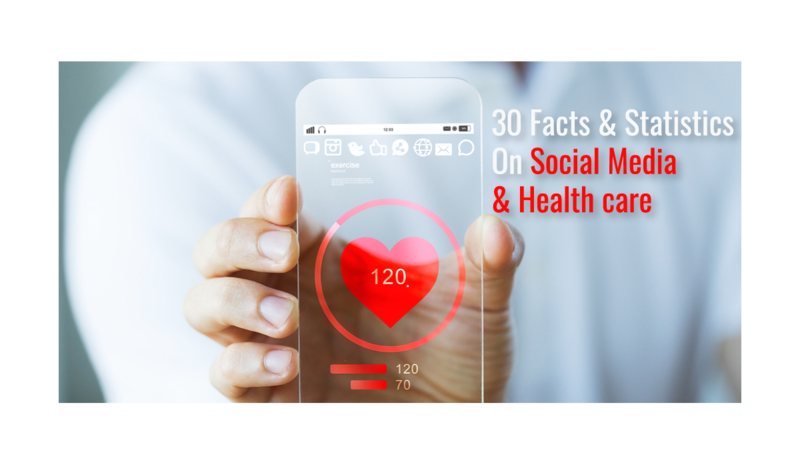 In this article, we highlight the most relevant statistics of social media and healthcare. Takeaway: Audiences are seeking collective knowledge when it comes to their health related decision making. Having multiple voices who can relate to a similar situation, or who have experienced similar circumstances, will always garner greater persuasion than that of a single brand. Takeaway: Social media platforms like Facebook, Twitter, Google, or even SnapChat have become the modern day blog forums for folks to vent about their loved ones healthcare stories and/or struggles. For healthcare brands and startups, there’s huge potential in connecting with these caregivers and patients. Takeaway: Patients want the most reliable information possible from their physicians/doctors, but want to familiarize themselves with others experiencing the same obstacles and concerns. Connecting with others suffering from the same disease(s) gives patients a basis on how things could go — regardless if it’s for better or for worse. Takeaway: Straight from the source on a visual scale that is both irrefutable and incredibly compelling. Patients that post videos or images from a relatable stance tend to generate far more engagement as opposed to normal text only posts. Takeaway: Millions of people globally are using social media actively on a daily basis, and a great deal are wading through vast amounts of “social noise” looking for treatment options, disease groups, patient/doctor insights, and more. Takeaway: Patient and caregivers will always seek out second opinions; searching the web helps them to discover via social media (or the internet in general) potential alternatives to diagnoses and/or treatments they otherwise wouldn’t know about. Takeaway: People who have undergone or are coping with a disability or chronic condition want their voices heard. They want to share their personal insights, that could potentially help another patient who is struggling. They don’t just care — they want to make a real difference and pay it forward. Takeaway: It’s important for facilities to have their own accredited policies surrounding the use of social media, as it’s an invaluable tool for communication, reputation building, and general education purposes beyond the doors of the hospital. Takeaway: Self explanatory — doctors are trusted more than brands themselves, because of their background. If brands want to build greater trust, it’s worth looking to strategically align themselves with medical influencers in the social space. 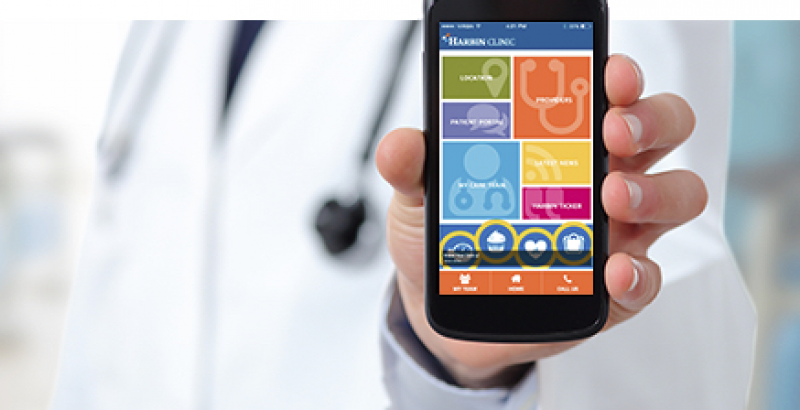 Takeaway: Healthcare apps are all the rage — and for good reason. Portable medical data is coming soon; patients want more control over their health from a data ownership standpoint (let alone a physical standpoint). Takeaway: Health is a very personal experience, but one that we all benefit from. Patients care about other patients, and want to provide as much information as possible (or obtain as much information as possible) in order to make the best decisions they can. Takeaway: While a preventative focus is important, apps are a surefire way to monitor what is and isn’t working. This translates across all facets of general health, mental health, and disease specific conditions that need more granular, individualized attention. Takeaway: The app space isn’t getting smaller anytime soon. The healthcare space in particular, is set to grow exponentially as the largest generational segment of individuals in the US (the Baby Boomers) begins retiring and increasingly familiar with tech. Takeaway: This is interesting! If you don’t live in one of these states, maybe it’s time to take a look at your social presence! Takeaway: Doctors and physicians need access to information too — it’s important for them to diversify their knowledge base by keeping up to date on medical developments, tech, and treatments. Takeaway: Social media is an incredibly powerful tool for garnering influence, reaching audiences, and building brand awareness and trust. 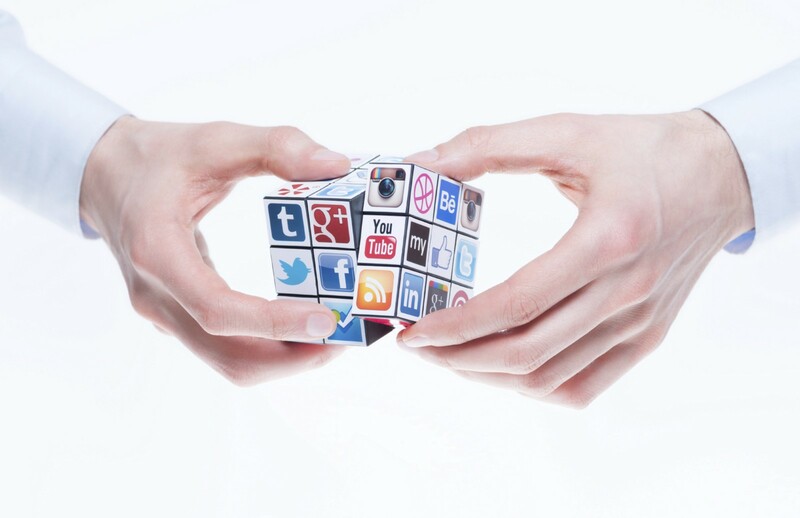 Social media is not only good for your patient base, it’s good for your employees too. Takeaway: Healthcare organizations are often locked in archaic methodologies that worked wonders for them in the past, and their size makes it difficult to suddenly adapt to newer trends and tech. While somewhat disadvantaged, this doesn’t mean they can’t turn around in a timely fashion with a properly implemented digital strategy tailored to their specific need and goals. Takeaway: There’s a knowledge gap between best practices for content marketing and compliance-mandated content marketing. Many healthcare marketers are afraid of triggering an Adverse event, or exposing themselves in a way that might cause financial ramifications or bad press. Too often, this means the quality of this component of their marketing suffers. Takeaway: This goes back to using outdated methodologies — much of their consumer base is rooted in older tricks of the trade. As is the tech the marketers use, and the age of the marketers themselves. New tech requires new blood; adaptation is never easy, but it’s inevitable. 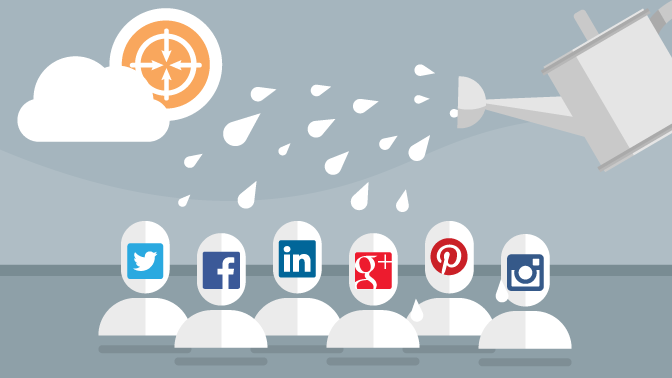 Audiences will be talking about your brand whether you’re on social media or not. 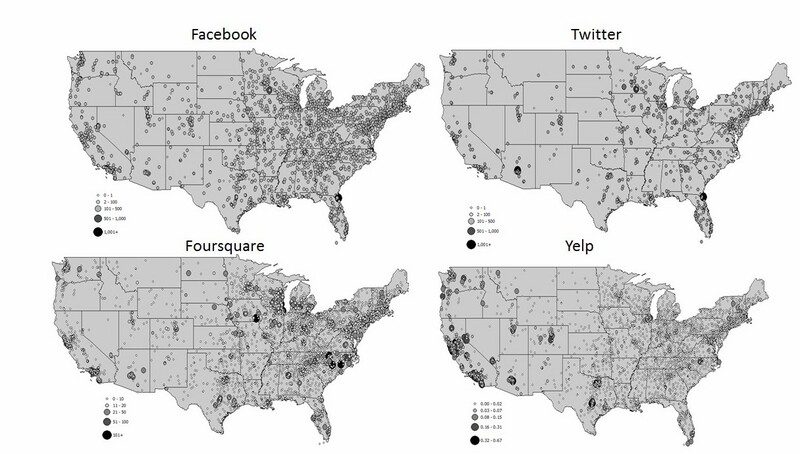 Takeaway: 4Square is a powerful tool that provides additional audience insights regarding geographic-specific preferences. With such low participation, this could be an area of opportunity for physical clinics, hospitals, and specialist practitioners looking to generate stronger relationships with their localities. Takeaway: Can you fathom this number? It’s in the hundreds of millions for the USA alone. Imagine what they all have to say! Takeaway: The silver surfers (as they’re called) are coming out in droves — ease of access, quality and quantity of information, and more qualified sources means this crowd is well armed and equipped to make those important healthcare related decisions while heading into retirement. Takeaway: Facebook is easily the social media that trumps all other channels — it’s diverse, unique, and offers an array of information if you know where to look. It also benefits from the ability to connect individuals, both far and wide, via similar interests. Takeaway: Astounding! We just learned audiences are 60% more likely to trust doctors that are online than those that aren’t! This means 50% of doctors in the US aren’t expanding their reach beyond their localities. Takeaway: LinkedIn by far is a healthcare provider favorite — but mostly for recruiting and employments means. It’s not the place to generate a true “following”, or engage with audiences via their brand. The lack of Twitter accounts is an example of this. Takeaway: This may seem like a small number, but remember — there are 191.3 MILLION users in the US alone. The quantity, let alone quality of the content being posted by several million users is absolutely invaluable to your brand. Takeaway: The millennial generation is constantly pushing the evolution of social technology — and the age of transparency in business is upon us. Audiences want their voices to be heard, so user-centric businesses must respond to these voices in order to stay relevant. Takeaway: Older generations have their preference of media, just as younger generations do. But don’t discount their presence among diversified platforms — there’s still a bounty of information to be revealed by these quieter audience segments. Takeaway: This is troublesome; brands that aren’t online are still being talked about online. It’s to their advantage to create an online presence that allows consumers to approach them directly. But it’s moreso important for them to develop a best practices process and fulfill compliance requirements so they can do so without the fear of repercussion. Takeaway: This is awesome! When audiences get to actually “see” what their healthcare providers do, it generates a unique blend of trust, reliance, and inquisitiveness around their brand. insights feel free to reach out to us here at Liquid Lock Media. We specialize in helping Healthcare brands leverage these insights and turn them into actionable strategies in order to improve engagement, develop communities, and grow thriving, trustworthy brands. We are a social agency that helps our healthcare clients discover new innovative patterns powered by real-time data.